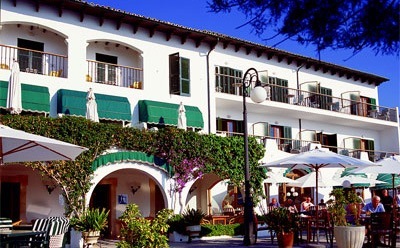 If you're looking for a hotel in a perfect location, then the Sis Pins is the ideal choice. 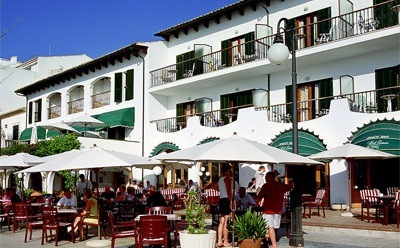 Set on the beach and enjoying a brilliant resort location - right on the exclusive and enviable 'Pine Walk', a much-coverted location - this well-established hotel offers value-for-money. 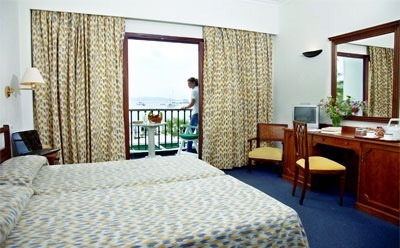 Furnished to a comfortable standard, the Sis Pins is a traditional and charming hotel with a super-friendly atmosphere and is a popular choice with returning guests. 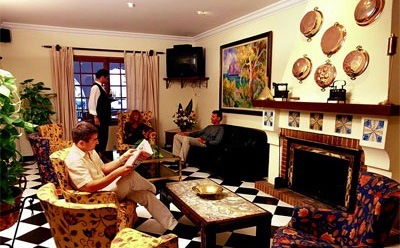 The elegant reception area is furnished in traditional-style with original paintings and beautiful antiques, whilst the lounge is a superb haven for cosy evenings. For sun lovers there's a superb private beachside sunbathing terrace, or you can opt to retire to a cosy seat on the charming arched terrace area situated on the charming 'Pine Walk' promenade - perfect for enjoying a leisurely breakfast or evening cocktail. This hotel is perfectly placed for browsing the local shops, bars, restaurants and activities - all can be found within easy walking distance. What's more guests will find the hotel brilliantly placed for exploring.